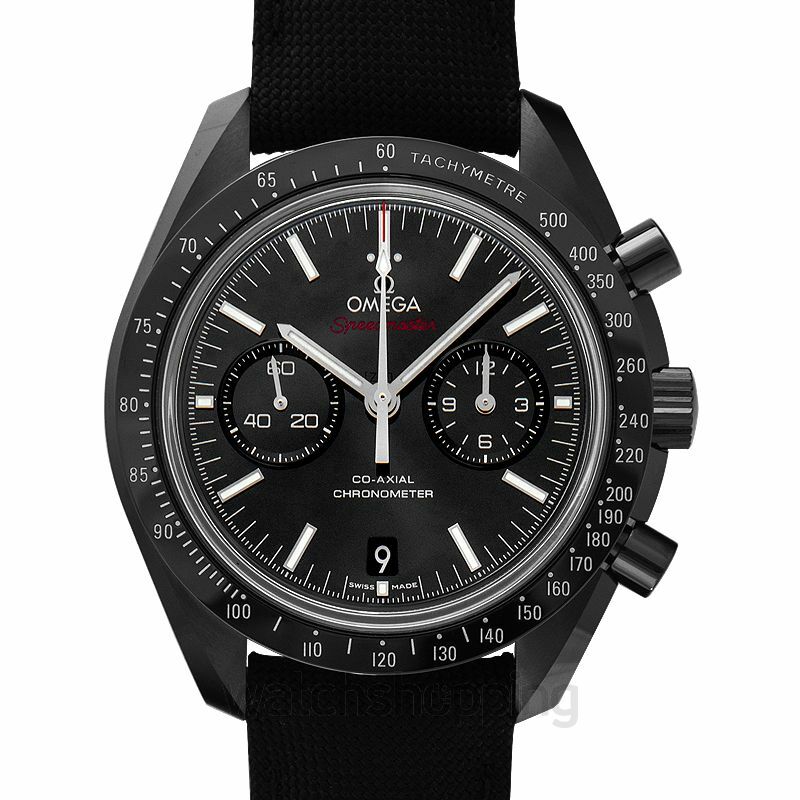 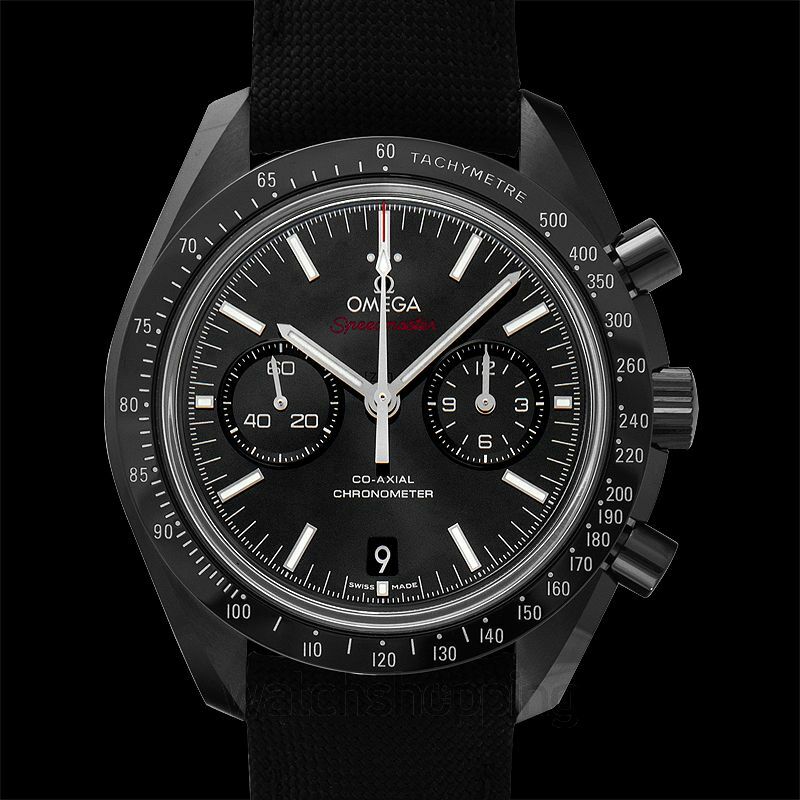 The Omega Speedmaster Moonwatch Co-Axial is termed the Dark Side of the Moon. 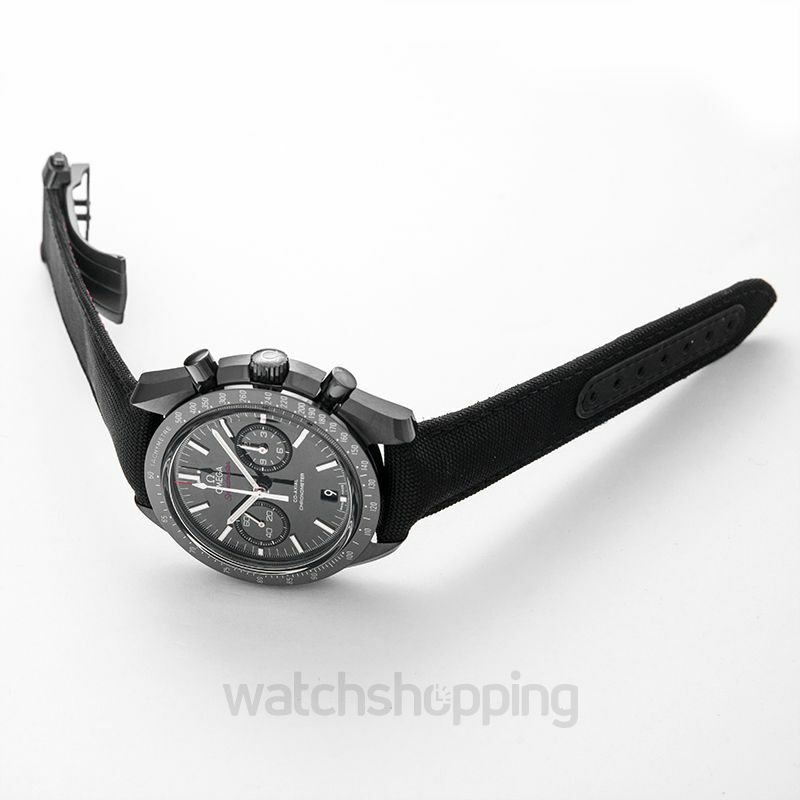 It features a 44.25 mm ceramic case with a black dial that uses 18K white gold as part of the index's main ingredients. 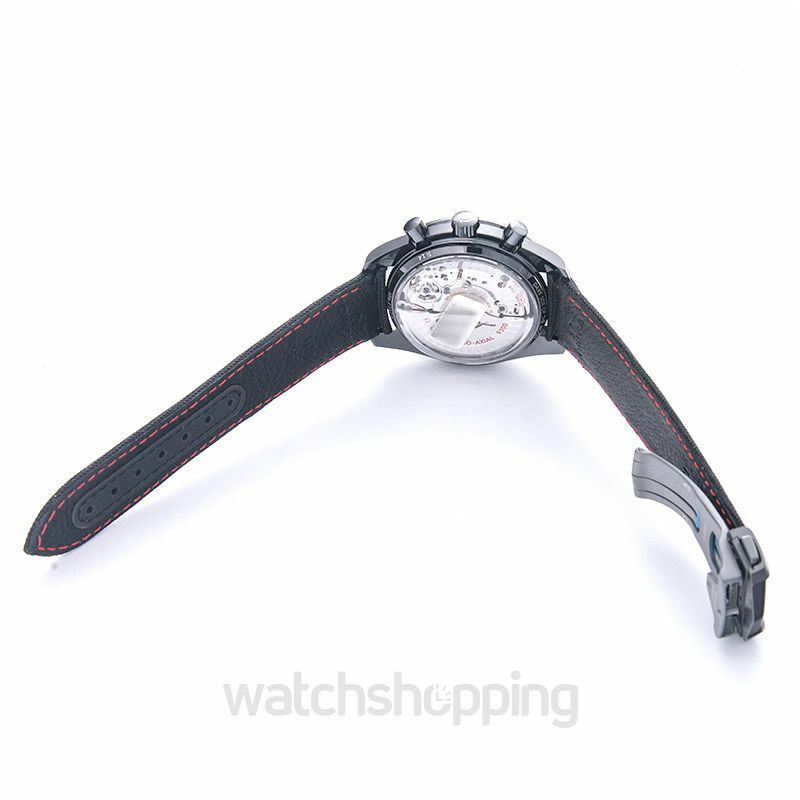 Other highlights include the Co-Axial Calibre 9300, matt chromium nitride tachymeter scale, and the nylon fabric strap.